If you’re at all plugged into the video game world, you probably know that the next installment in the Mass Effect series, Mass Effect: Andromeda, is finally coming out today, March 21st. We can’t be more excited – what’s better than the next chapter in a gorgeously-written space opera? 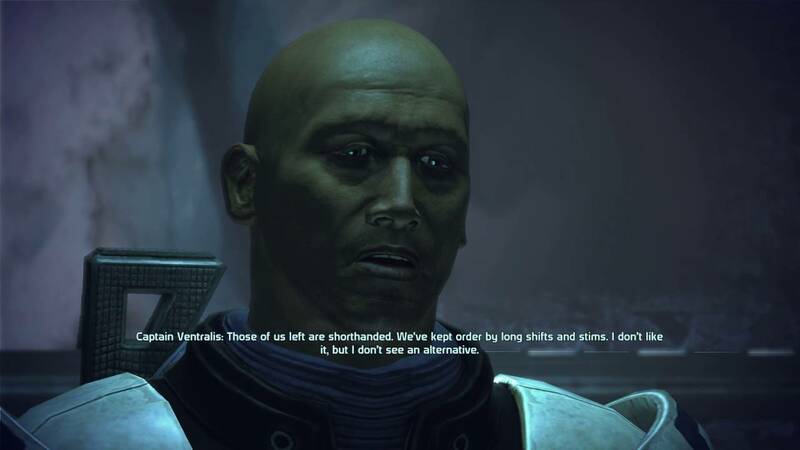 (Seriously, the plotting and dialogue is so good that some of us still aren’t over the emotional arrow to the knee that was Mass Effect 3…) But even better for us bookworms, the writers and developers at Bioware like to toss the occasional literary send-up into the games’ settings, lore, and witty wordplay. In celebration of Mass Effect: Andromeda, here are some of our favorite references from games 1-3. Annoyed Human: Come on, let me in! Aria's expecting me, ugh! Elcor Bouncer: Annoyed: If she were expecting you, you'd be inside. Annoyed Human: You've let 10 people in while I've been standing here! Elcor Bouncer: Uncaring: They were VIPs. Then you find out that the show takes fourteen freaking hours to sit through. And the cherry on top of this unlikely sundae is that, according to Mass Effect 3, the production has received rave reviews and several awards. Guess there really is no accounting for taste. It shouldn’t come as a surprise that the Ardat-Yakshi, rare Asari with genetic disorders who kill their mates upon joining minds with them, borrow heavily from vampire lore. Remember Morinth, Samara’s daughter and an Ardat-Yakshi whom you can choose to invite onto the Normandy? She’s a classic, vampy seductress who leaves behind a trail of bodies wherever she goes. But that’s just chance! you might say. Plenty of sci-fi species might seem like vampires. There’s a telling detail that makes the parallel clear, though: the ship Morinth leaves Illium on is called the Demeter. That’s the same name as the ship that carries Dracula to England in Bram Stoker’s gothic novel. Coincidence? We think not. One of the main quests in the original Mass Effect involves dealing with the rachni, an insectoid species previously thought to be extinct. The rachni first attacked the Citadel thousands of years before the events of the game, and the Citadel races tried to negotiate with the spider-like species. But they couldn’t break the communication barrier, so they killed all the rachni instead. Of course, in Mass Effect, you discover that someone saved a rachni queen egg from the genocide…and attempts at righting past wrongs by allowing her to hatch have also gone wrong. If this sounds like another sci-fi plot, you’re onto something: the rachni are straight out of Orson Scott Card’s Ender’s Game. They’re startlingly similar to the Buggers, the alien race that Ender Wiggin doesn’t realize he’s exterminating until the end of the first book. What’s more, Ender finds a queen Bugger egg and carries it with him throughout the next book until he discovers a suitable location to let the egg hatch. 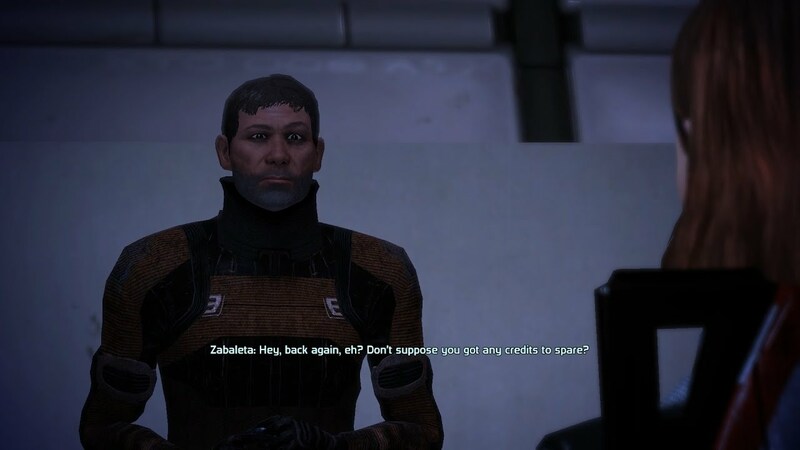 Depending on the backstory you choose, your Shepard may be harassed by a down-on-his-luck guy on the Citadel calling himself Lieutenant Zabaleta. If you picked the Spacer background, he’ll ask you for money because he claims to know your mother, a well-regarded officer in the Alliance military. This kicks off a sidequest called “Old, Unhappy, Far-Off Things,” which is a line from a William Wordsworth poem. A call to Mama Shepard will confirm Zabaleta’s claims: the poor guy is suffering from PTSD. Old, unhappy, far-off things indeed. You can do nothing, give him some whiskey to calm his nerves, or convince him to go to the Veterans’ Affairs Office. The best part? The Wordsworth poem is titled “The Solitary Reaper.” Foreshadowing much? In Mass Effect 3, you may encounter a hanar diplomat named Zymandis on the Citadel. He looks ordinary, but if you do some digging into his past, you’ll discover that he’s been indoctrinated by the Reapers. He attempts to make the hanar homeworld, Kahje, vulnerable to Reaper attacks by disabling the shielding mechanism that protects it. Shepard, of course, is tasked with stopping him. The allusion to Shelley’s poem is appropriate if you know your Mass Effect lore. The Enkindlers, whom the hanar worship as god-like, are in fact the Protheans, the last species wiped out by the Reapers. Now nothing is left of Prothean civilization but “colossal wrecks” spread across the galaxy. In his indoctrinated state, Zymandis is poised to leave his own race to the same fate. There’s some cruel irony for you. What other literary references in the Mass Effect games do you know of? Tell us in the comments or on Twitter @quirkbooks!